There has been a pretty great deal of notable stand-up comedy this year, and it came mostly from veteran, experienced players as expected. Netflix was once again dominated the format, but Comedy Central and HBO are still alive, steadily providing the world with good comedy. Unfortunately in 2017, another contender, the short-lived Seeso shut down its streaming service. Uncommonly converging on social issues for Braunholer's standards, but still more focused on enthusiastic storytelling of personal stories and sillier jokes, Trust Me, the second comedy special by the 41-year old comic, is funny as much as it is contemplative and humanly conscious. Through it Kurt Braunohler attempts to elevate his comedy, shift his writing game and take it to a level above that of the simple joke narrator and by all means he succeeds. 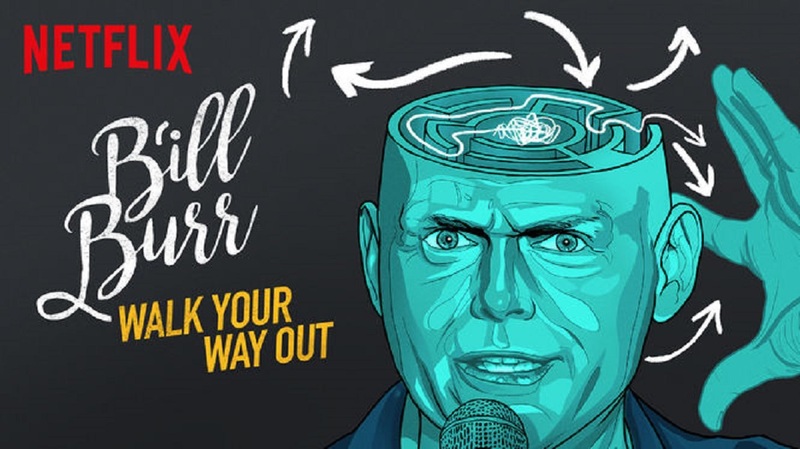 Even though it does not come out as grabbing as some of his previous work, the latest special by Bill Burr is smart and funny like anyone would expect from the veteran comic. 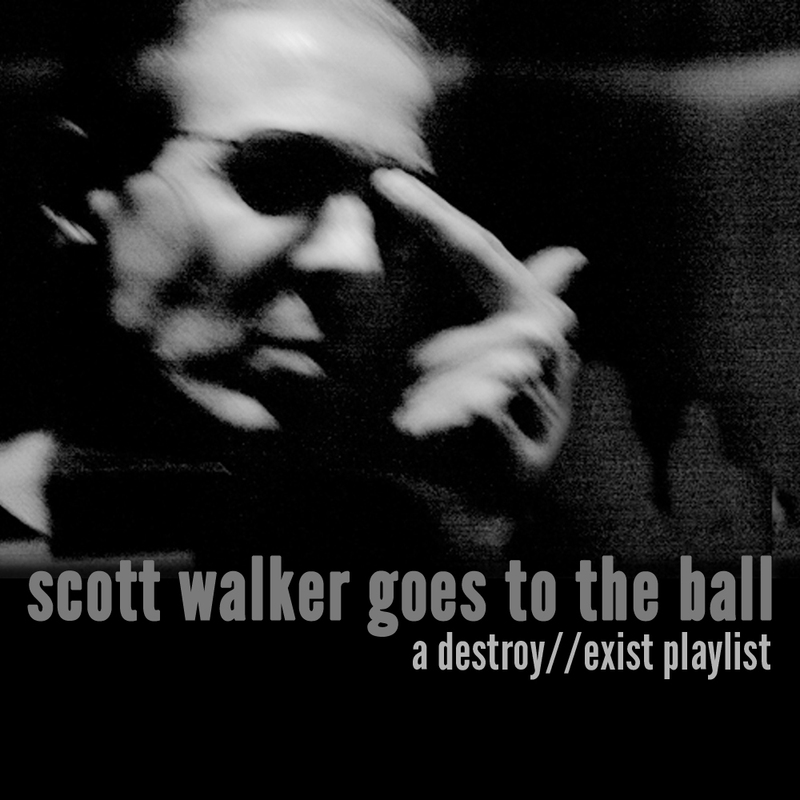 On his edgier material, like the idea about being himself a dictator and eliminating people, Burr still shines, and it is obvious that his comedic writing is still capable of striking and memorable bits, something that he proves regularly through his podcast, possibly more efficiently than Walk Your Way Out does. 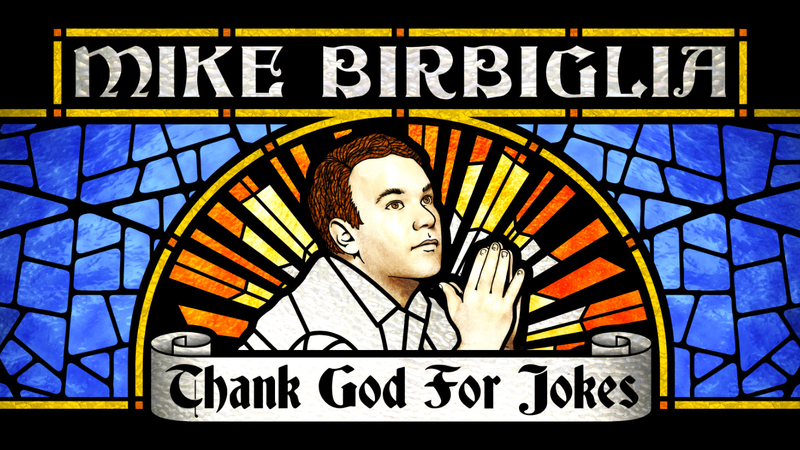 It is really easy to go through any of the many hour-long specials and albums Mike Birbiglia has put together so far, because he is always funny, perceptive and a natural, great narrator. His latest one is not an exception, on the contrary it is one of the better sets Birbiglia has ever presented, interacting with his audience and delivering his well written jokes with charm and excitement. 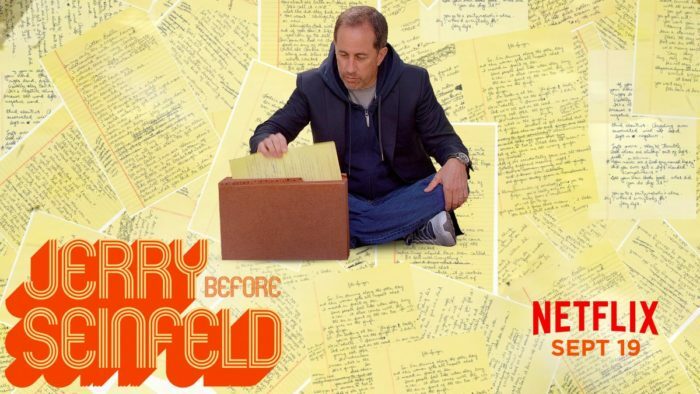 American comedy treasure, Jerry Seinfeld, does not need introductions nor much to convince anyone that his latest special indeed deserves a spot among the year's finest, even if this set is comprised exclusively of very old material. 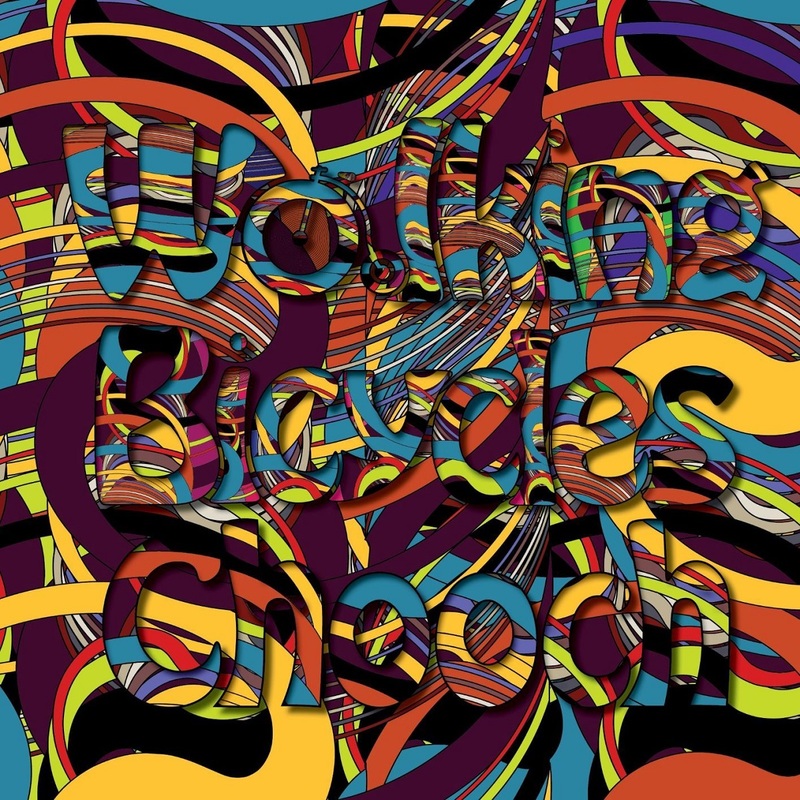 To be more precise, on this one Jerry revisits the very first jokes he wrote, those that became the foundation for him to break through the comedy clubs of New York back in the seventies. As anticipated, those jokes still work fine after all these years. 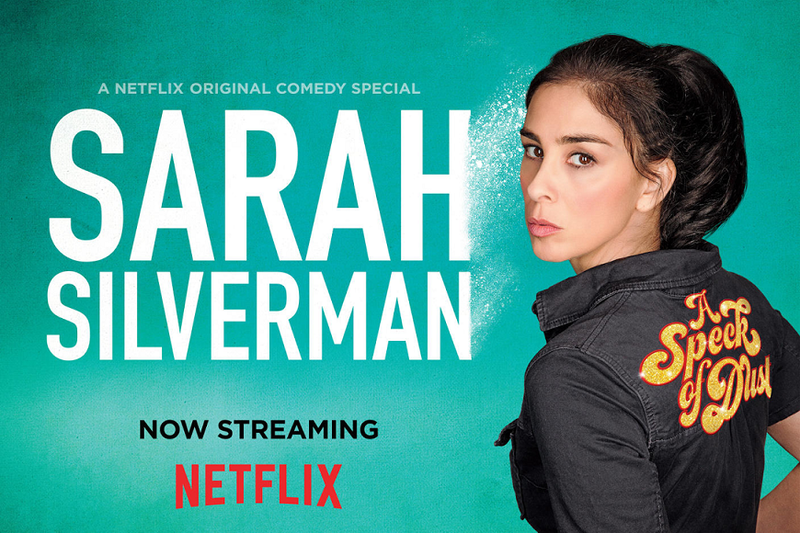 Fresh off a dreadful health scare and concurrently with her much enjoyable new late night show on Hulu, Sarah Silverman, delivered another strong comedy special which without being her most impressive, is still funny and a joy to watch. In a nutshell, A Speck Of Dust is a fine representation of Sarah's consistent presence as one of the smartest and strongest voices in comedy today. 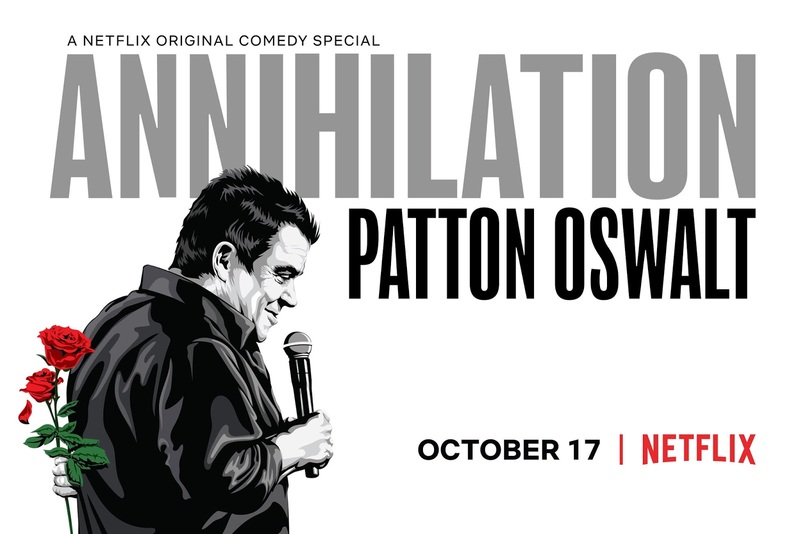 After the sudden passing of his wife Patton Oswalt stands strong and fights back with what he knows how to do best. He takes his grief, alongside everything else in life which his late wife, Michelle, perceived as chaos, and turns it into art, thoughtful writing and ultimately profound comedy, in what must the most humble performance by one of the most unpretentious and modest voices in this business. Annihilation can be sad and tragic, but it also feels purifying for the beloved comic, and delightful for his captivated audience. 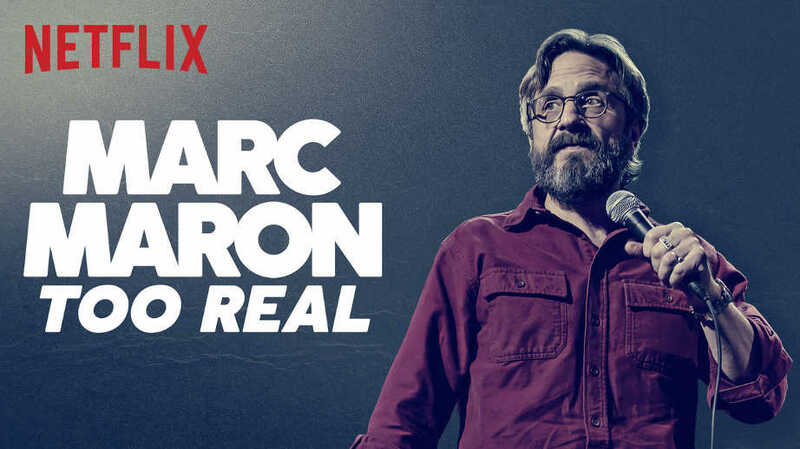 Apart from having the most popular podcast on the internet and a little after the conclusion of his excellent TV show, Marc Maron, about a dozen albums/specials into his career is still witty as ever. His clever full of references writing, absorbing storytelling and joke delivery evidently prove that he's one of the best and justly most respected names in comedy right now. In conjunction with how engaging he can be on WTF, it makes one wonder how come this guy hasn't taken his talents to late night television already, especially considering the popularity of current hosts who can be less efficient. Trevor Noah has been a unique voice on late night TV, a forward-thinking, charming and overall competent host of The Daily Show since the retirement of John Stewart whose shoes were enormous enough for anyone to fill. Afraid Of The Dark is Noah's seventh special in eight years, and it lays out a different, more casual side of his wonderful comedic skills compared to the etiquette and precision that we watch from him on TV on a daily basis, one which is established on his uncanny abilities to do accents and impressions, and also narrate hilarious, masterfully structured stories, delivered in his unparalleled, energetic and instinctual tone. 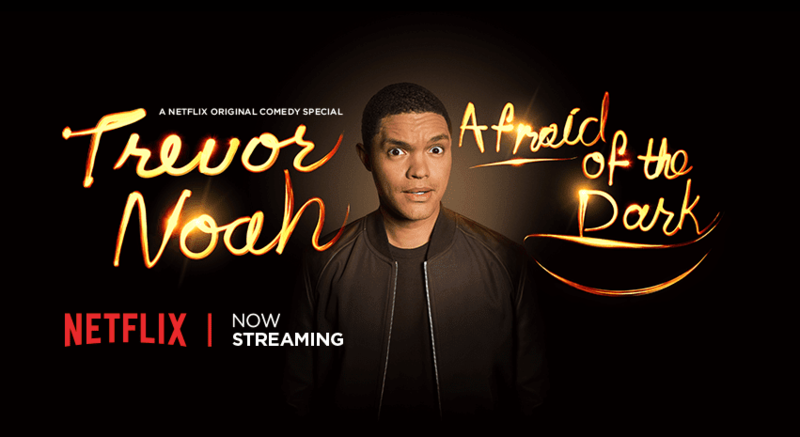 After more than a very productive and creative decade it comes as no surprise that Trevor Noah has earned a prominent reserved space in the future of comedy. 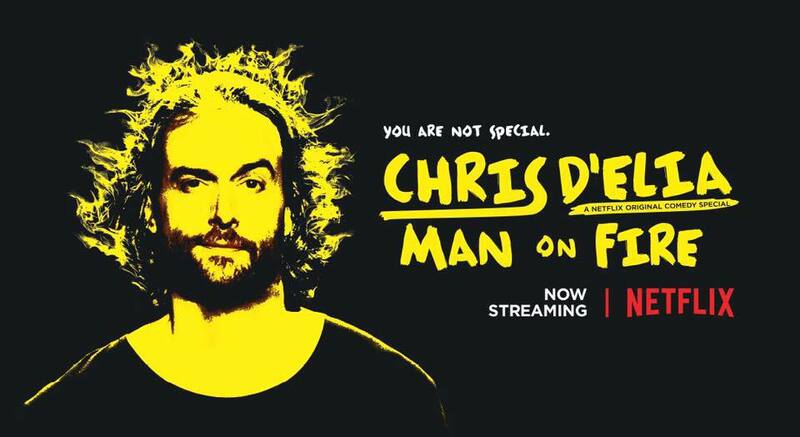 On his second Netflix special D'Elia comes out confident, observational and very eager to tell his stories, so that when he has to excessively use profanity or giggle at his own material, he simply lets it out without holding back his zeal for what he does. 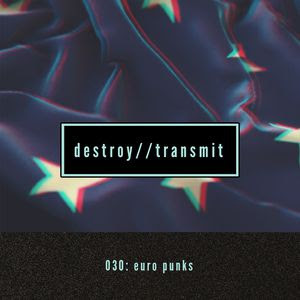 With his popularity at its highest, Chris D'Elia mostly makes fun of himself and every so often he gets his act to a bit of darker places and notions, but the level of the show's energy never drops. Although he has been a very funny presence on the miscellaneous sitcoms on which he's appeared, it's time for the world to see D'Elia more clearly as the great stand-up comic that he is. 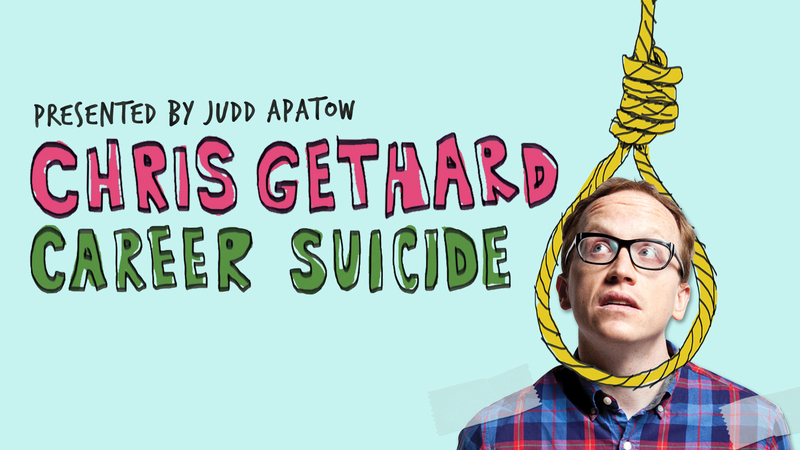 Insightful, profound, hilarious and quite longer than the usual hour-long format of the average comedy special, Chris Gethard's one-man show about depression, suicide, mental health and personal demons is a working example of its very own tagline. 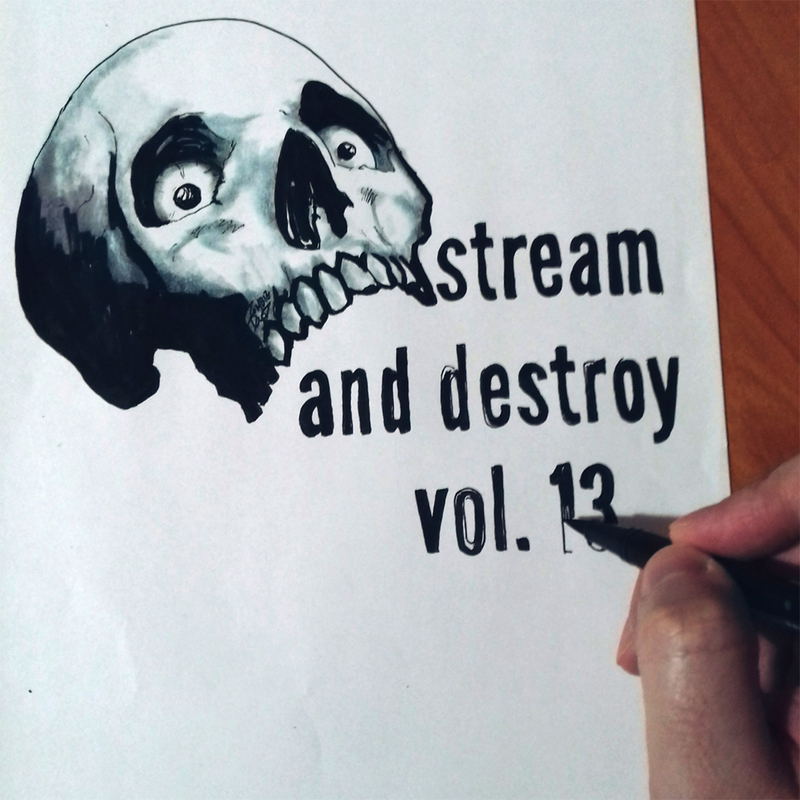 Indeed, "comedy can be found in the darkest places," and Gethard as a skillful writer and talented performer he makes darkness sound like something easy to laugh at.